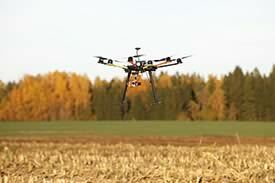 Hoosier Ag Today: A new poll finds 21 percent of farmers plan to operate a drone this year. The poll found 21 percent of farmers will operate the drone themselves, while another 12 percent of farmers indicated they would opt for a third-party entity to fly drones. More than 1,000 farmers responded to the poll. Thirty-one percent of respondents say they will keep an open mind about drone use on their operation for 2018. Last August, the Federal Aviation Administration released its final unmanned aircraft rule allowing for the commercial use of drones, including for agricultural purposes. RnR Market Research in April 2016 predicted the agriculture drone market would be worth $3.69 billion by the year 2022. A forecast by the research firm says the market is poised for significant growth over the next few years.